The Disney Wonder sailed to Hawaii in 2015. 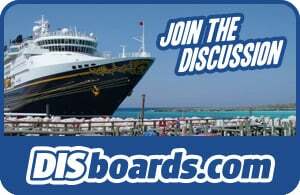 There are currently no sailings scheduled to Hawaii. The Disney Wonder will sail through the breathtaking beauty of the Hawaiian Islands, where guests can experience the famous beaches of Waikiki on Oahu, see the views from high atop the summit of Haleakala Crater on Maui, take in the lush tropical gardens and waterfalls of Kauai and, on Hawaii Island — the Big Island, explore the natural wonders of the world’s most active volcano. Visit Maui's Haleakala National Park and Waimea Canyon on Kauai, which is known as "The Grand Canyon of the Pacific." Take time to experience history by visiting Pearl Harbor on Oahu. Are you the outdoorsy type? You've come to the perfect place! Hawaii is known for its multitude of outdoor sports, such as hiking, parasailing, and horseback riding. Take a helicopter tour over the islands and gaze upon the beautiful blue water and white sandy beaches. Speaking of beaches, they're the perfect place to relax after you get done swimming, snorkeling, scuba diving or kayaking. Looking for something a little more low-key? Honolulu is a popular shopping destination. Shoppers can find traditional souvenirs as a memento of their trip, or contemporary fashion and art. Lahaina on Maui features a variety of seaside shops and restaurants, with a little something for everyone. No trip to Hawaii would be complete without stopping in to check out the newest Disney Vacation Club resort, Aulani. Aulani is located in the Ko Olina Resort area of Oahu, Hawaii and is modeled after the traditional Hawaiian village concept. This resort is truly a sight to behold.